Two deep colored Anemones are the focal point in a sweet design set in a vintage hobnail mason jar. 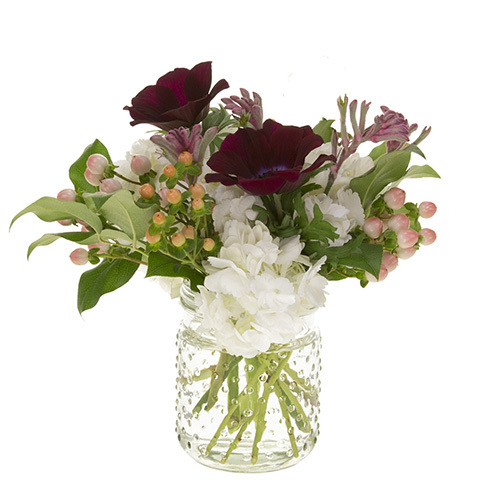 Approximate size: 9” h x 7” w.
*Anemones shown may vary in color from wine to purple. Purple Lisianthus may be substituted If necessary. For delivery within the Portland /Vancouver metro area. For delivery outside of our delivery area please call for pricing and availability.